Facebook made a blunder, again! It failed, ignored, or possibly forgot to encrypt the passwords of more than 600 million users. Since 2012, these passwords were stored in plain text, accessible to its nearly 20,000 employees. The worst part is, it was completely clueless about it for the past seven years. This data breach has not only compromised privacy of hundreds of millions of users, but also revealed its incompetent application security testing methodology. In the modern digitally-driven world, the significance of data is immense. Data is the fodder for new advancements in the Artificial Intelligence domain and all the automation processes. Massive amount of data is being generated every day, and handling that data is becoming a challenge that needs to be addressed immediately. Improper management of the data is the primary reason for the breaches happening across organizations worldwide. A secure application is the key to garner user trust and establish credibility. We are only one quarter down in 2019, and the number of data breach reports already happened is concerning, at the very least. This proves that there is no shortcut to a completely secure application. In order to prevent such leaks in the future and avoid negative publicity of the organizations, it is imperative that CIOs invest resources and time to develop, implement, and maintain a fool-proof application security testing strategy. 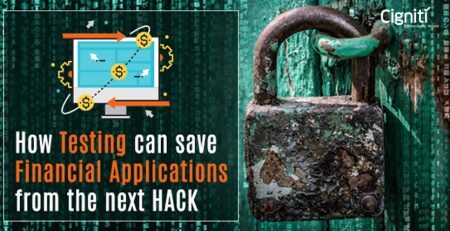 In the process of fortifying an application with software security testing, there are some pitfalls that organizations need to avoid. Otherwise, they might fall in so deep that it will be practically impossible to come out of them. Most important of all is the lack of a harmonious application security strategy. A well-documented plan is required for a proper execution. In the absence of a strategy, it is like following a dark path without knowing if the application will tread smoothly or hit a bump and stumble over. Being familiar with the basic concepts of DevSecOps does not make CISOs capable of effectuating the development of a completely secure application. They need to strategize a thorough, measurable action plan that aligns with the overall goals and makes optimal use of the available assets. Next is the failure to adhere with the legalities involved in a software development process. Legal compliance enables an organization to safeguard its intellectual properties such as patents, trademarks, and copyrights. It also equips them with a strong foundation in case of a confidentiality breach. Non-existence of a well-maintained application inventory may also prove expensive and dangerous. An application inventory facilitates tracking of expired SSL certificates, newly added domains, updated software versions and codes, and mobile APIs, allowing organizations to get rid of obsolete systems and stay compliant with GDPR and relevant regulations. The war against the Black Hats is not an easy one. Organizations must gear themselves with a well-planned strategy and nothing less than perfect will work. Devising such flawless strategy requires extreme caution and consideration as there is no scope for errors. Scrutinize the process: In order to formulate a plan for the future, it is only smart to take a step back and go over the existing processes. If those processes are faulty or inefficient, the chances of the plan to fail increase significantly. Review the development cycle to identify the gaps and weak links, which might attract a potential threat. Model a threat diagram: By analyzing the process, put down a high-level diagram or a blueprint to concentrate on how data flows through the application. Such threat model offers a panoramic overview, which makes it easy to pinpoint the defective locations in the process. Automate wherever possible: Automating the iterative steps frees individuals from mundane tasks and improves efficiency. Automated tools can pick up what human eye might miss. With the help of automated scanning tools, it becomes possible to examine the source code and initiate counter actions to mitigate the vulnerabilities before deployment. Do not underestimate manual testing: Manual testers bring to the table what automated tools cannot – creativity. Scanning tools often miss several authentication and authorization-related bugs, making the tools incapable of protecting the application from vulnerabilities on their own. Organizations should leverage on the expertise of human intelligence and strengthen their processes with hacker-powered security. Prioritize vulnerability management: The most common vulnerabilities that applications face come from injections, cross-site scripting, IoT devices, APIs, and Content Management Systems such as WordPress. Vulnerability management is critical in analyzing and prioritizing those vulnerabilities and deploy relevant measures accordingly. It provides the scope to determine the extent of damage those vulnerabilities might cause as well as estimate the cost of fixing them. An effective vulnerability management process makes it certain that the vulnerabilities are provided with the required resources so that they can be fixed in time. Establish metrics: Developing metrics is essential to measure the effectiveness of the established processes in dealing with vulnerabilities. Assessing these metrics lets organizations know the key areas where they need to improve to further toughen their risk management prowess. Security threats are a constant concern that can only be dealt with regular monitoring and a dynamic testing strategy. Most of the security testing tools are focused on Interactive Application Security Testing (IAST) or Dynamic Application Security Testing (DAST), which enable the organizations to integrate security testing in their DevOps cycle right at the start. 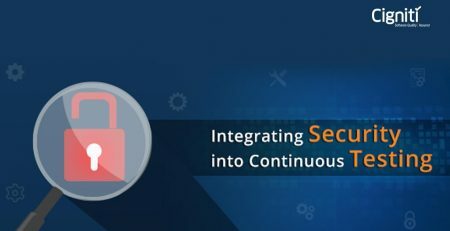 With solutions-oriented, enterprise web application security testing gaining traction, the focus is transferring toward developing a centralized library comprising common solutions for issues such as encryption, authentication, and cross-scripting. The shift to cloud and containers and the lack of complete understanding of serverless technologies are increasing the security-related complexities as well as the possibilities of data breaches. The gap in the cloud expertise and the rise in cloud computing crimes have made it mandatory that organizations take responsibility and get actively involved in fortifying their cyber walls. They should see that with the shortening development cycles in DevOps and Agile, security does not take the back seat. Cigniti possesses rich expertise in Security Testing of enterprise applications, catering to diversified business needs and serving clients across different industry verticals and organization sizes. Our Web application security testing uncovers vulnerabilities in applications and ensures the application risks are minimized. Connect with us to leverage a dedicated Security Testing Center of Excellence (TCoE) that has developed methodologies, processes, templates, checklists, and guidelines for web applications, software products, networks, and cloud. 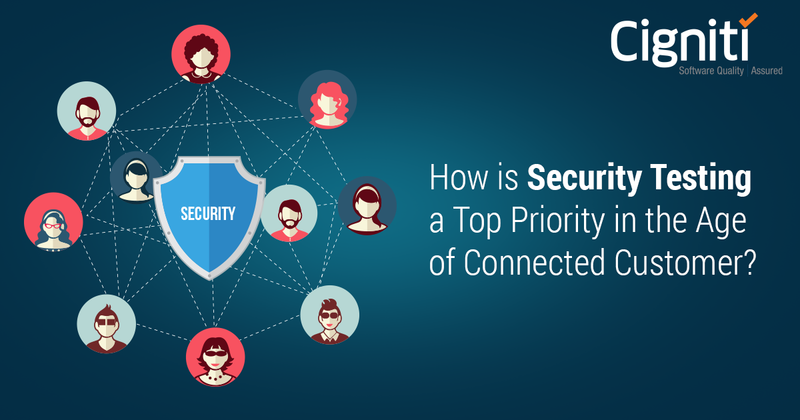 How is Security Testing a Top Priority in the Age of Connected Customer?